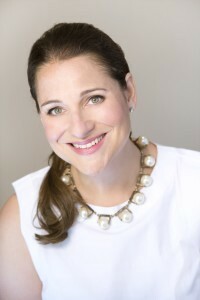 The Burlington County Library System will host “A Conversation” with New York Times bestselling author Jennifer Weiner on Sunday, April 10 at 2 p.m. in the County Library auditorium in Westampton. In anticipation of her visit, BCLS also has planned a series of fun library events including a movie night, books discussions, and a special “Girls’ Night Out” program especially for fans. A Princeton University graduate and Philadelphia resident, Weiner made her debut with the New York Times bestseller “Good in Bed” in 2001, and her second book, “In Her Shoes” was made into a major motion picture starring Cameron Diaz and Shirley MacLaine in 2005. Her most recent novel, “Who Do You Love,” comes out in paperback April 5. Tickets for “A Conversation with Jennifer Weiner” will cost $20 per person, and will be available on the BCLS website. Seating is limited. To help celebrate the upcoming appearance of this world-renowned author, the County Library with host a special showing of the PG-13 movie based on her book on Thursday, March 3 at 6:30 p.m. in the auditorium. Admission to the movie is free and registration is not required. — “Fly Away Home” (2010) on March 4 at 7 p.m. at the Riverton Library. — “Little Earthquakes” (2004) on March 11 at 7 p.m. at the Maple Shade Library. — “Then Came You” (2011) on March 15 at 6:30 p.m. at the Pemberton Library. — “Best Friends Forever” (2009) on March 18 at 2 p.m. at the Evesham Library. — “The Next Best Thing” (2012) on March 18 at 6 p.m. by the Bordentown Library (at Jester’s European Café). — “In Her Shoes” (2002) on March 21 at 6:30 p.m. at the County Library in Westamtpon. — “Goodnight Nobody” (2005) on March 29 at 6 p.m. at the Pinelands Library in Medford. — “All Fall Down” (2014) on April 4 at 7 p.m. at the Cinnaminson Library. A special “Girls’ Night Out” will also be held on Friday, April 1 at 7 p.m. at the County Library and admission is free. Please check the website closer to the date for more details about this fun event. The Burlington County Library is located at 5 Pioneer Boulevard in Westampton. For more information, go to www.bcls.lib.nj.us or call (609) 267–9660.